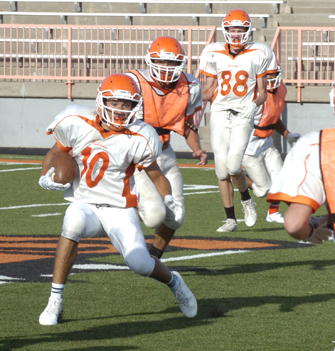 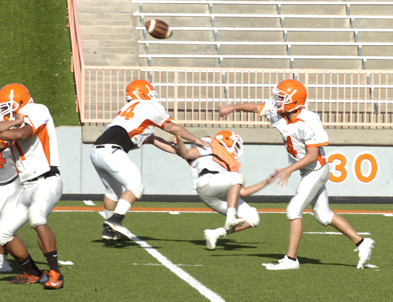 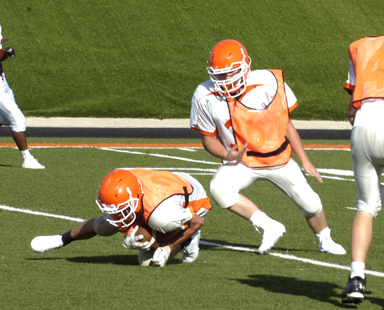 Bulldog senior quarterback Taylor Null (11) delivers a pass as his offensive line fends off the defense during the Artesia High School football team’s annual intrasquad scrimmage Thursday evening at Bulldog Bowl. 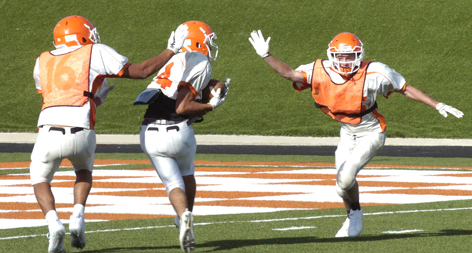 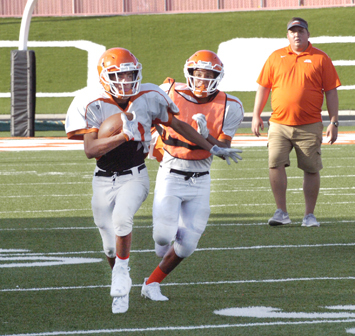 The ‘Dogs’ varsity, JV and sophomore players were all put through the paces in their first game-format action of the summer under the watchful eyes of their coaching staff and several football-hungry fans who turned out for a first glimpse. 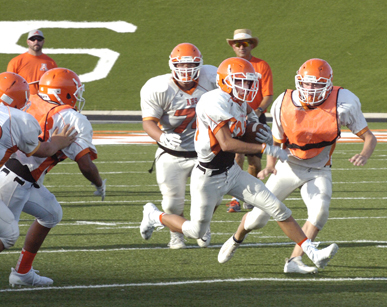 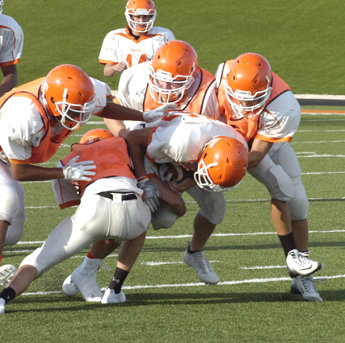 The Bulldogs will host Las Cruces Onate in their intermural scrimmage Thursday, Aug. 17, at the Bowl. 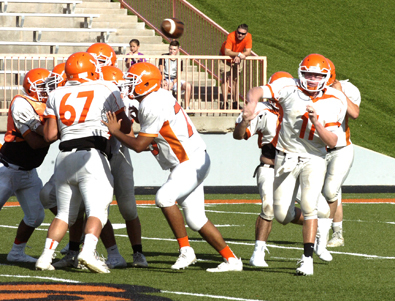 That outing, in conjunction with the Quarterback Club hamburger fry, will begin at 5 p.m. Additional photos from the intrasquad scrimmage will be posted at artesiabulldogs.tumblr.com in the next few days.